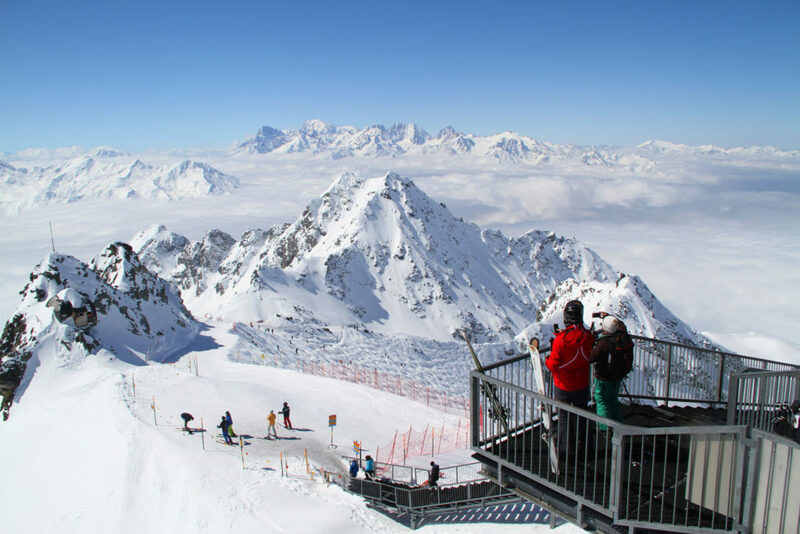 Verbier has it all – extreme skiing, extraordinary scenery, sophisticated four and five star lodging, top dining, and tireless nightlife. This chic French-speaking Swiss ski town offers high-elevation high-end, terrain along with black-diamond rated boutique shopping, gourmet dining and wild après ski in the village. 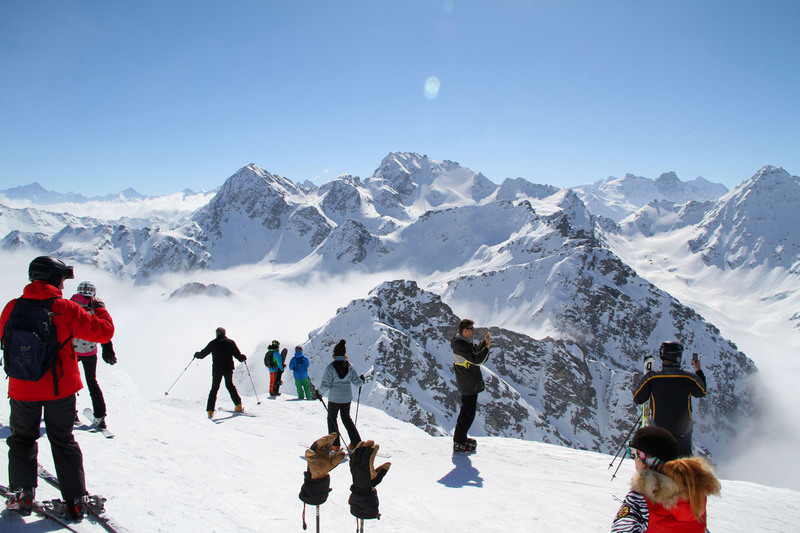 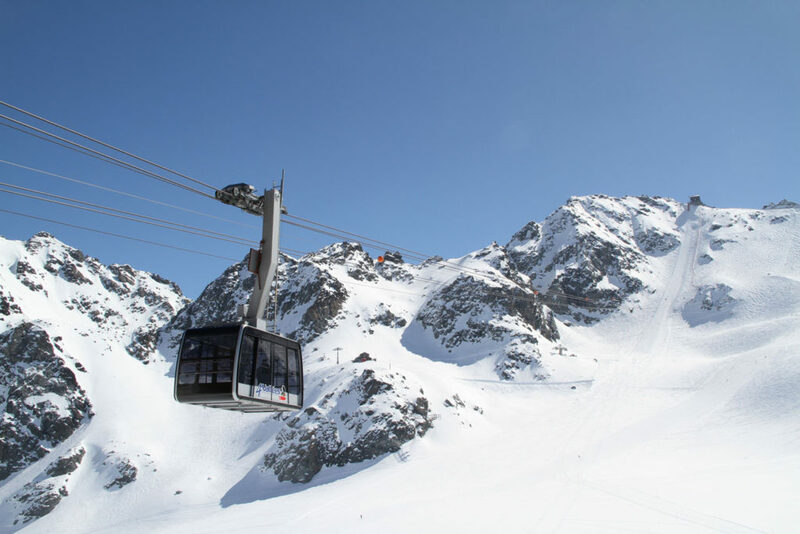 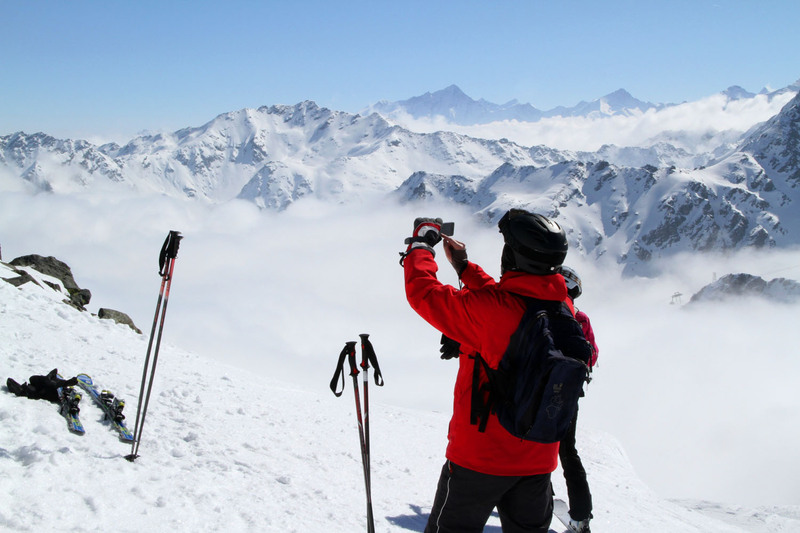 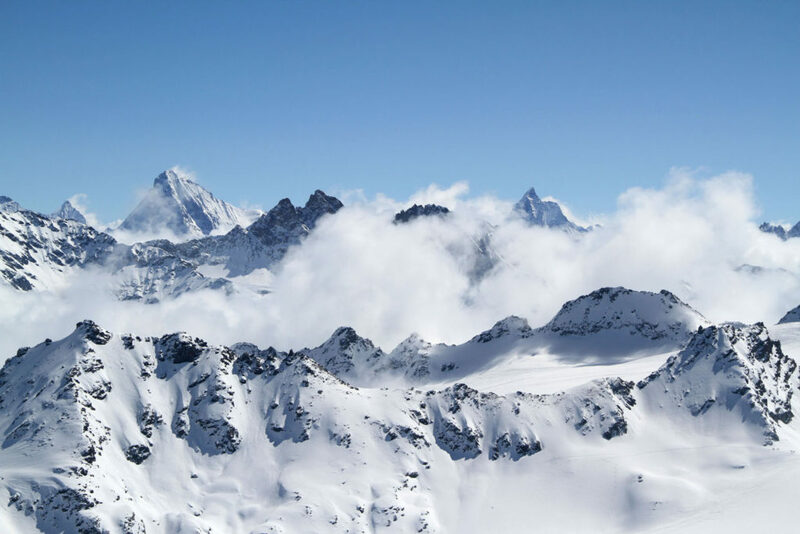 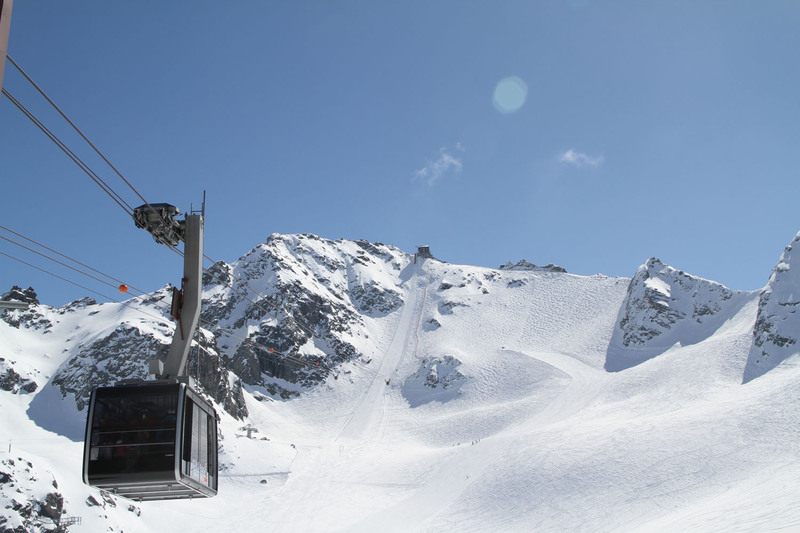 Verbier is the best of Les 4 Vallées – among the largest ski resorts in world – spanning six villages and four valleys, hence the region’s name Les 4 Vallées, with 92 lifts and 412 kilometers of prepared pistes on one ski pass. 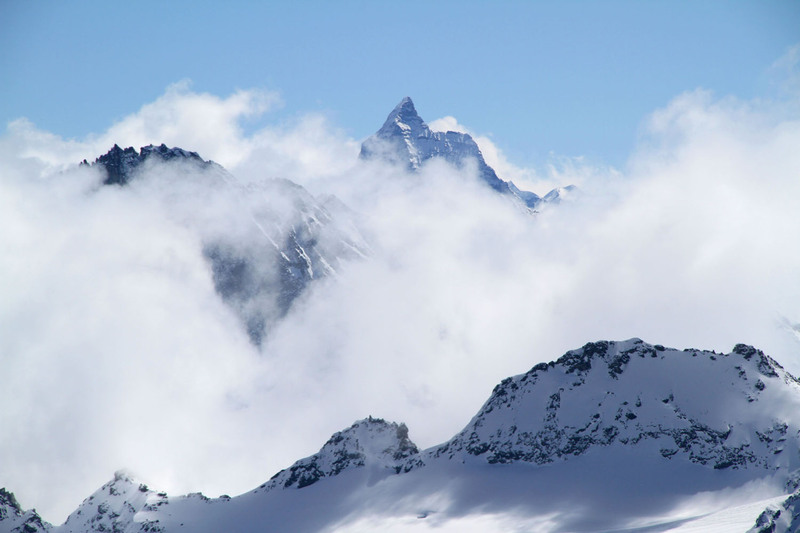 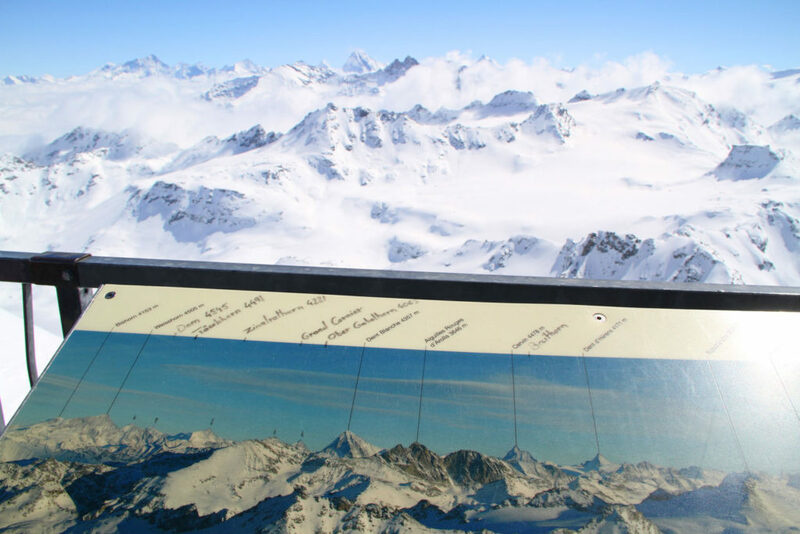 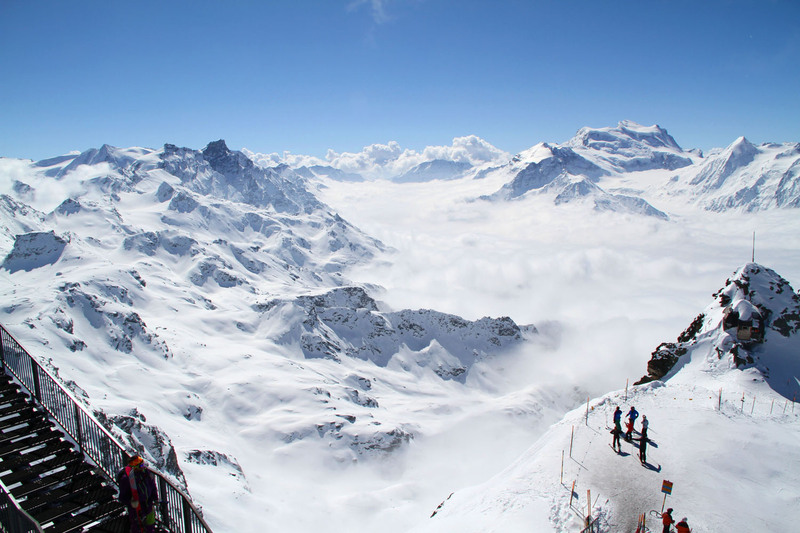 You can ski between the biggest – Verbier, and La Tzoumaz, Bruson, Nendaz, Veysonnaz and Thyon. 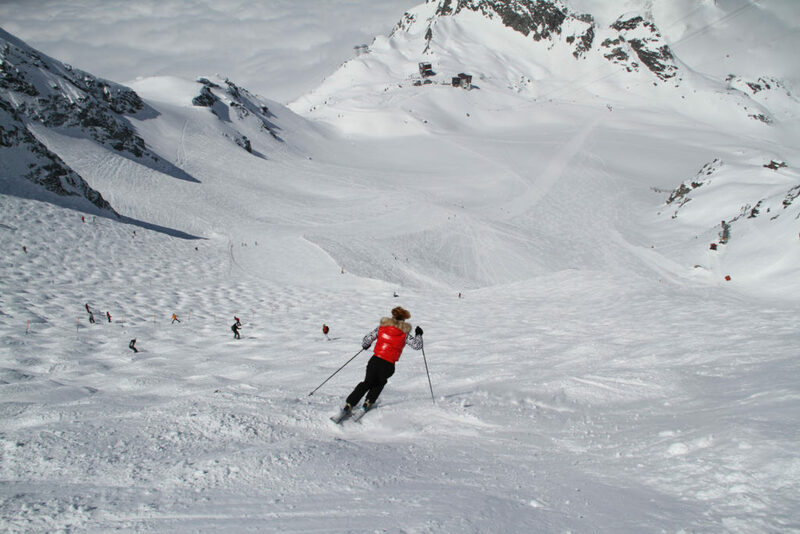 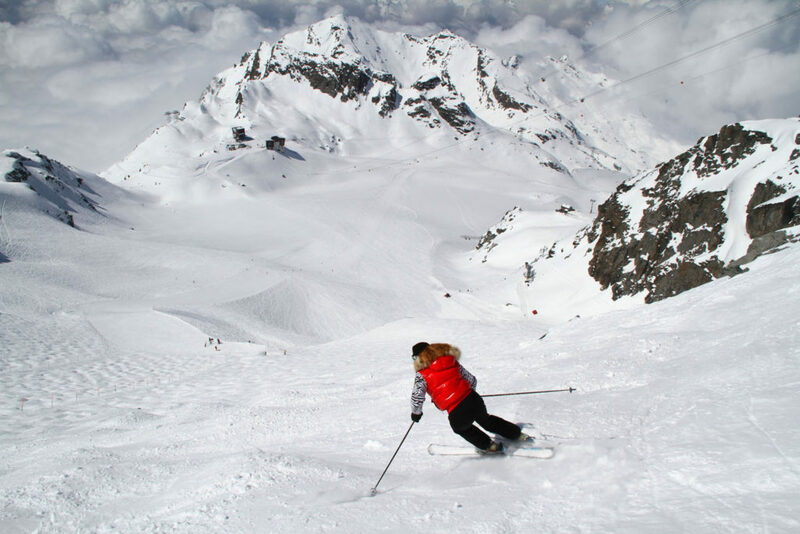 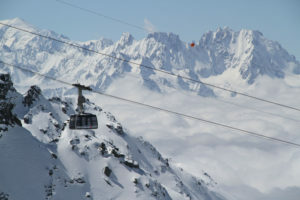 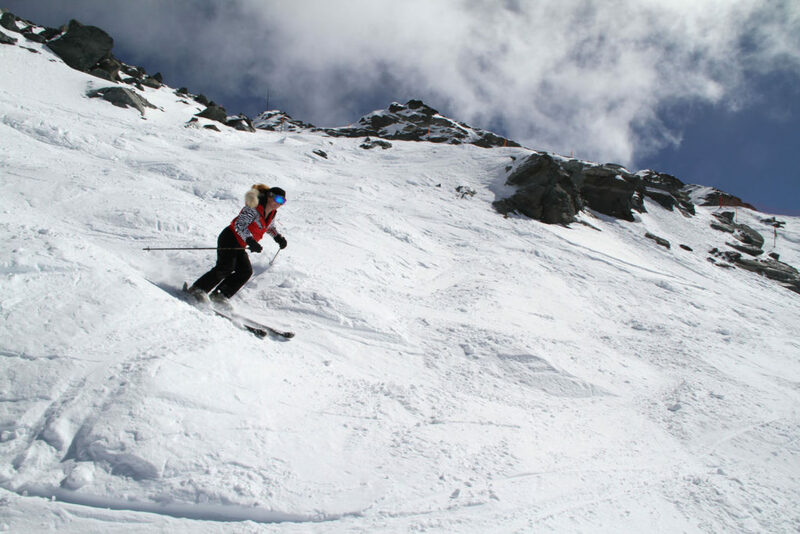 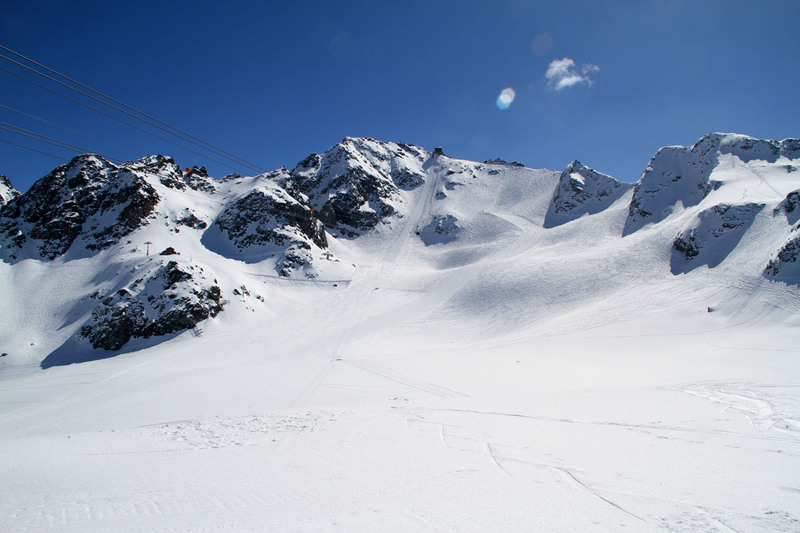 Big mountain skiing is on Verbier’s Mont Fort and Mont Gelé. 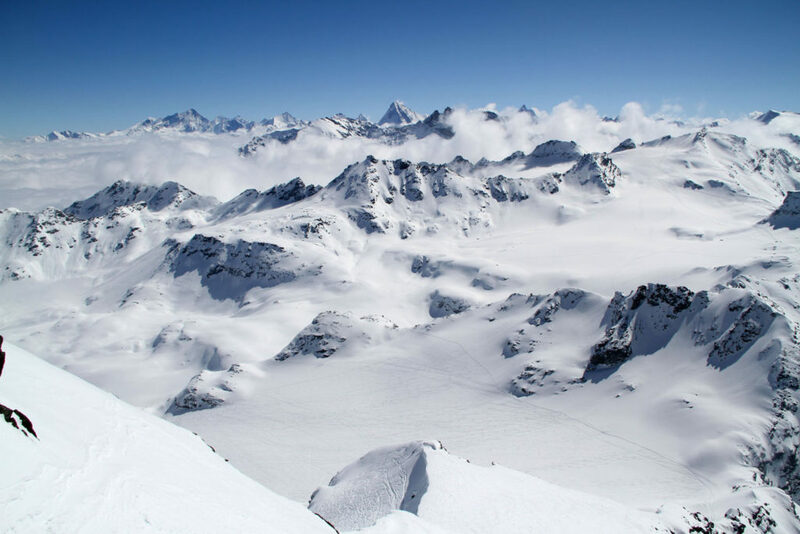 Mont Fort glacier is the highest elevation at 10,925′, reached by tram offering skiers and riders an amazing panorama of Switzerland’s big Alps – Mont Blanc (15,781′), The Matterhorn of Zermatt (14,690′), and The Dom (14,911′) from Mont Fort’s 10,925′ observation platform. 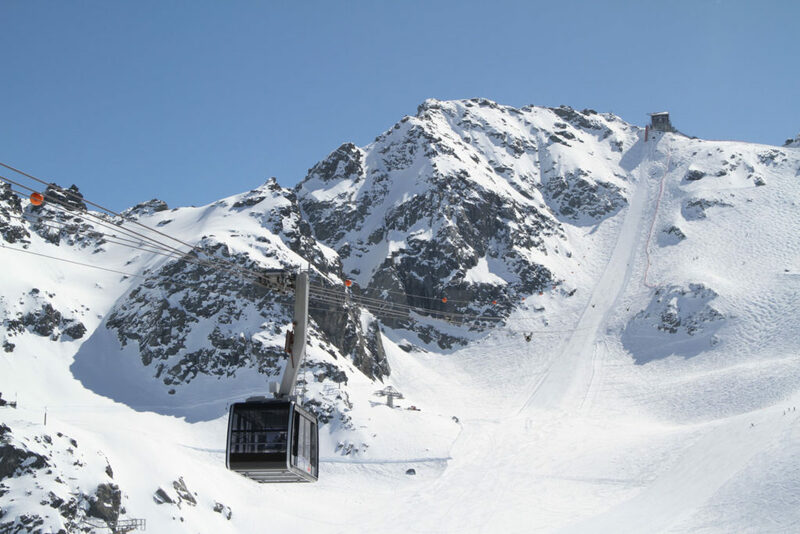 Mont Gelé the twin peak at Verbier is reached by tram, offering 3,000′ vertical of steep un-prepared NFT (no fall terrain). 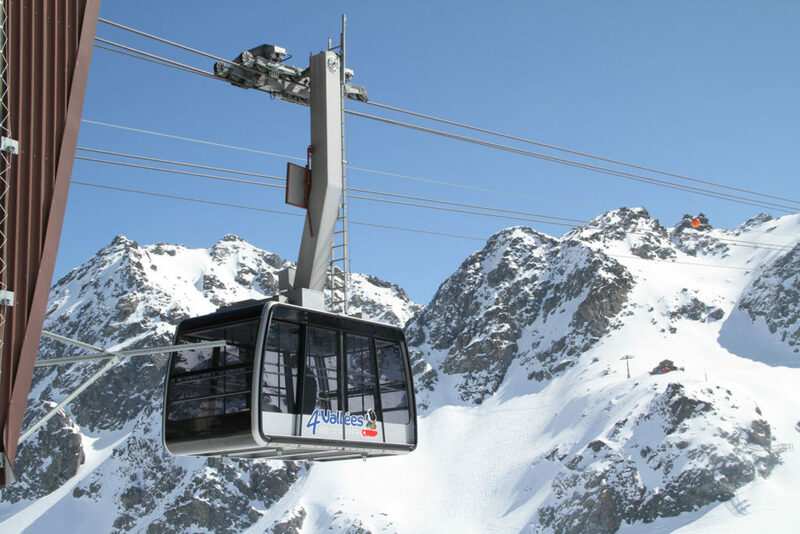 Read: no easy way down, except downloading the tram back to town – which is always possible! 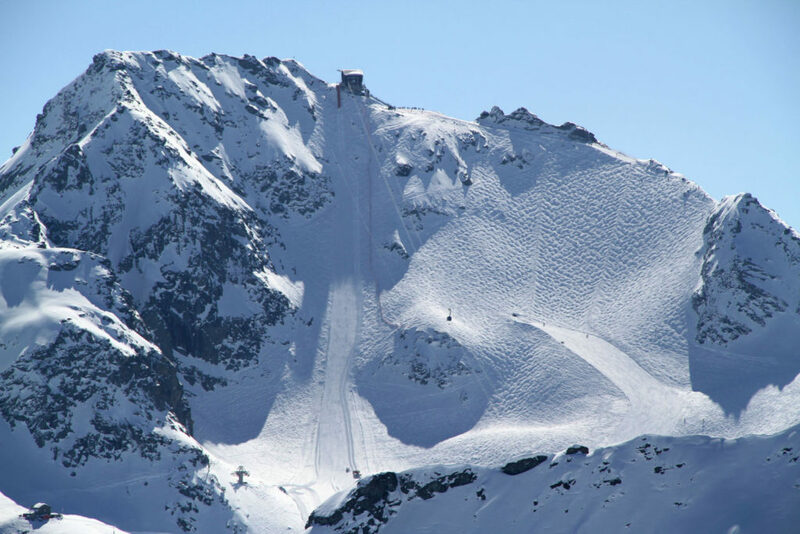 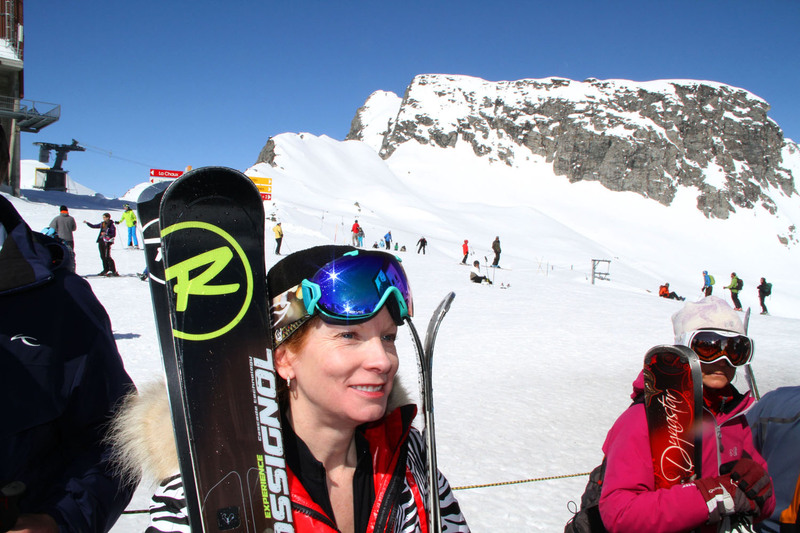 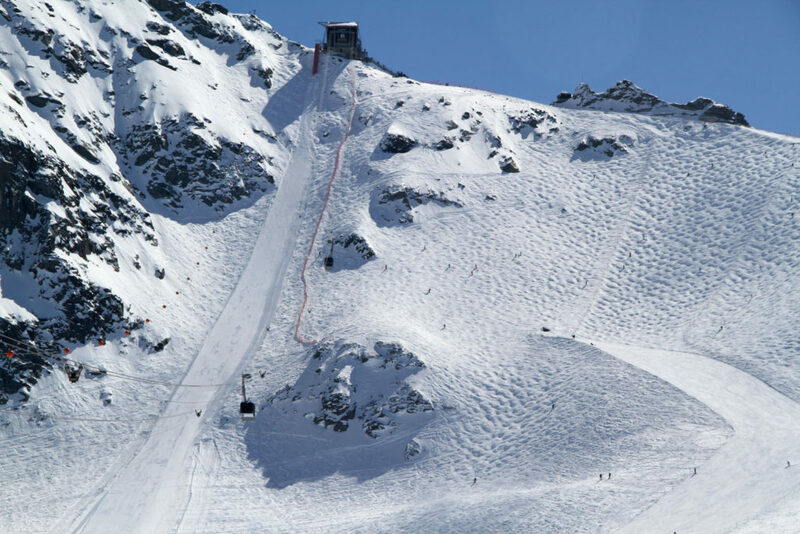 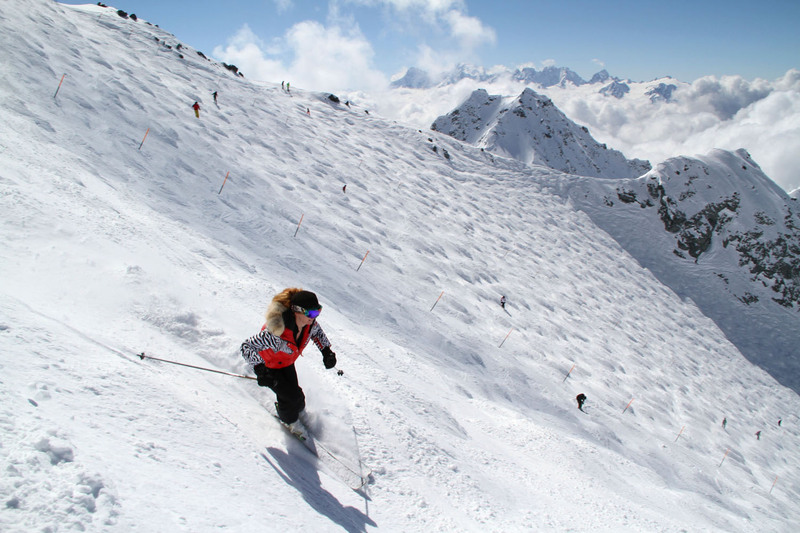 Verbier hosts the Xtreme World Cup Finals and the World Speed Skiing Track …just sayin’. 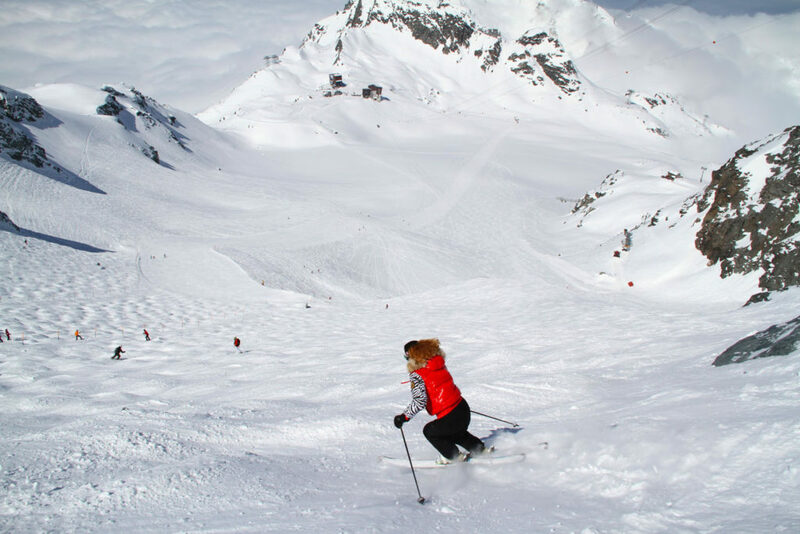 La Tzoumaz, Bruson, Nendaz, Veysonnaz and Thyon offer skiers more mellow terrain, learn to ski areas, kids parks, and a quieter side of skiing. 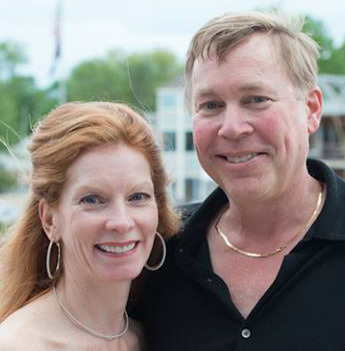 These interconnected ski villages stretch – to the west – Thyon, and Bruson to the east, with over 125 miles of trails. 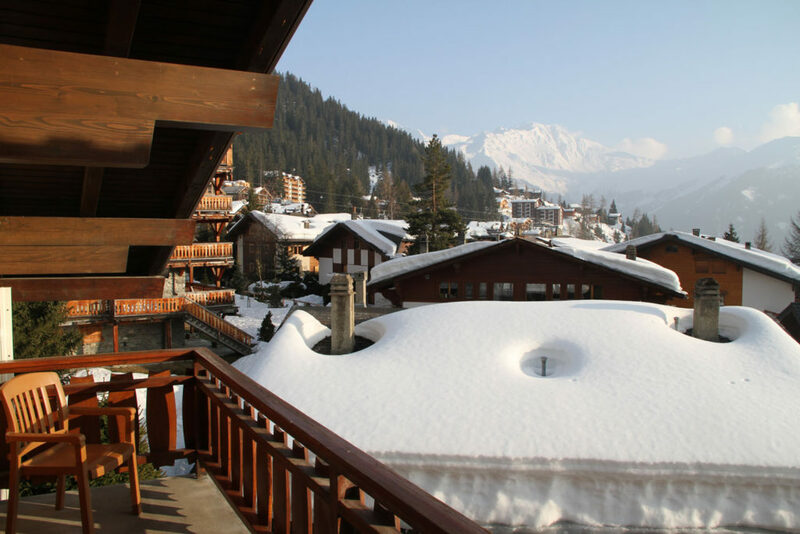 Verbier’s on-mountain chalets are Swiss-French, a brilliant combo of alpine heritage and haute cuisine, like fondue and French wine! It doesn’t get any better for on mountain food than skiing into a chalet like James Blunt’s restaurant La Vache – ultra popular and modern, or more traditional Cabane du Glacier Tortin on Mont Fort where they serve Swiss fondue to die for, literally given the narrow goat path you ski to to get there. 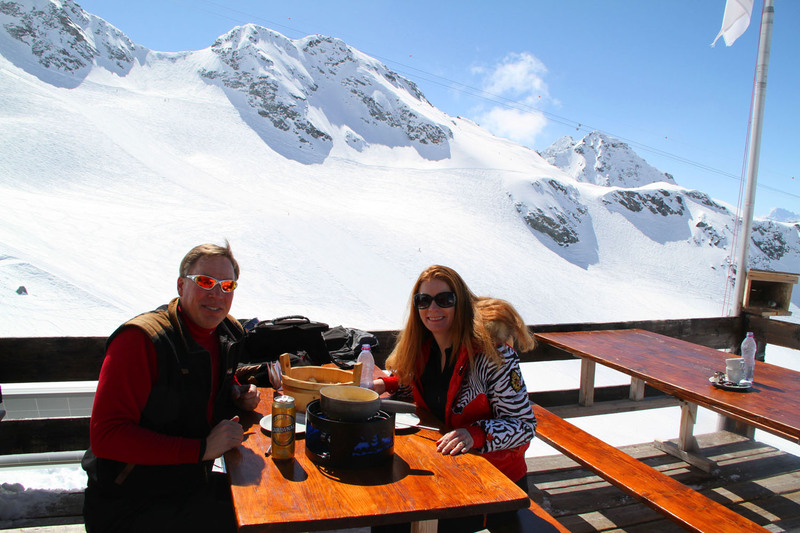 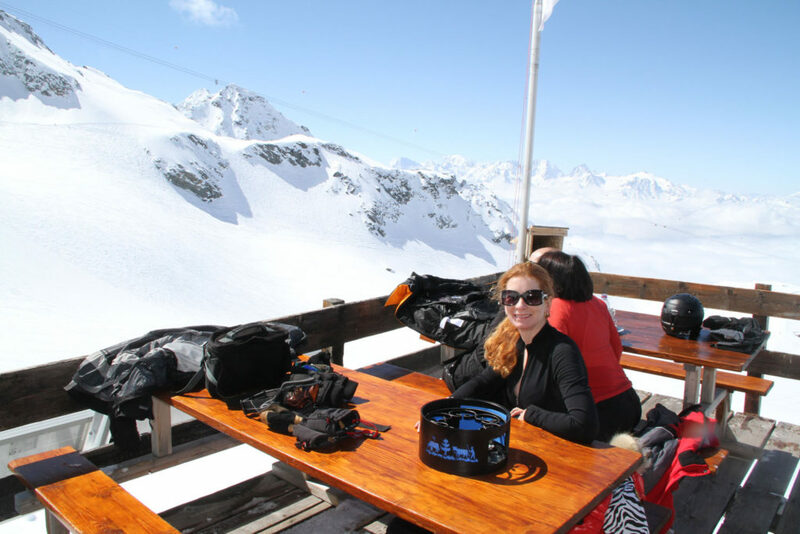 Visit as many of Verbier’s 24 fabulous Swiss chalets and bars dotted around the ski slopes as your adjustable waist ski pants will allow! 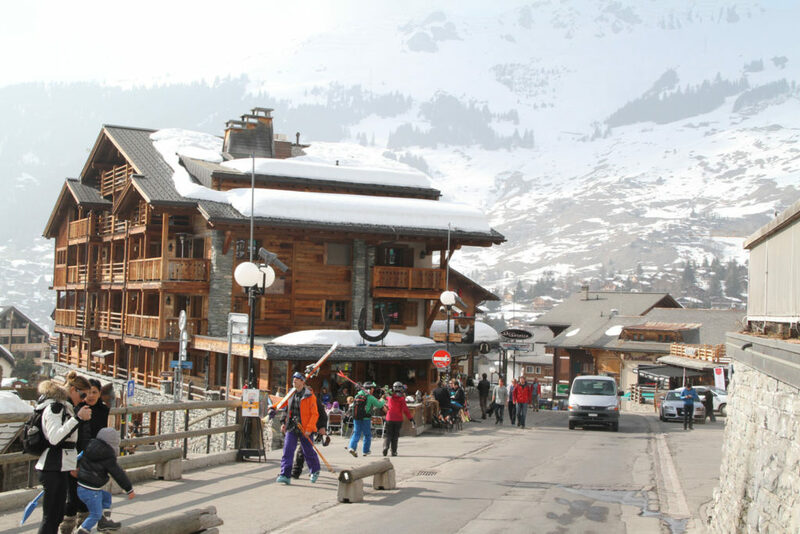 So many chic hotels in Verbier, 4 and 5 star ski hotels line the pretty alpine village streets. 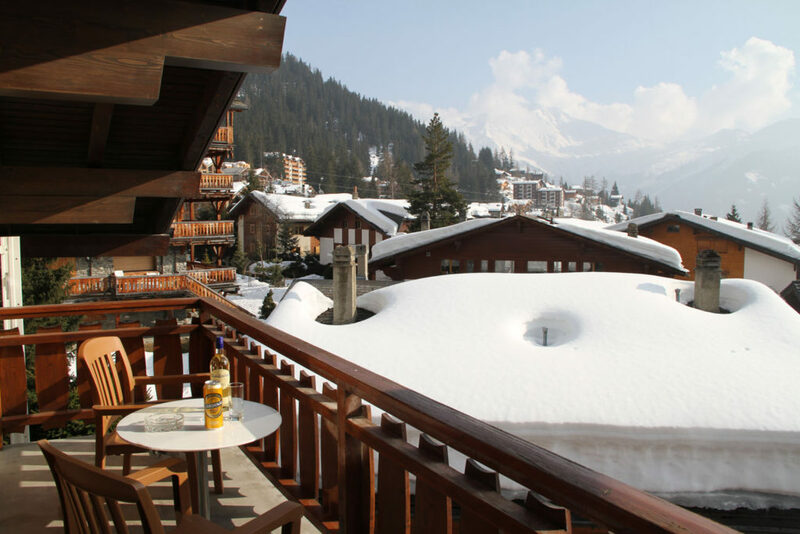 Verbier, The 4 star Chalet de Flore, and sister property 5-star Chalet D’Adrian are top Verbier Luxury Hotels with alpine charm and elegance with great locations. 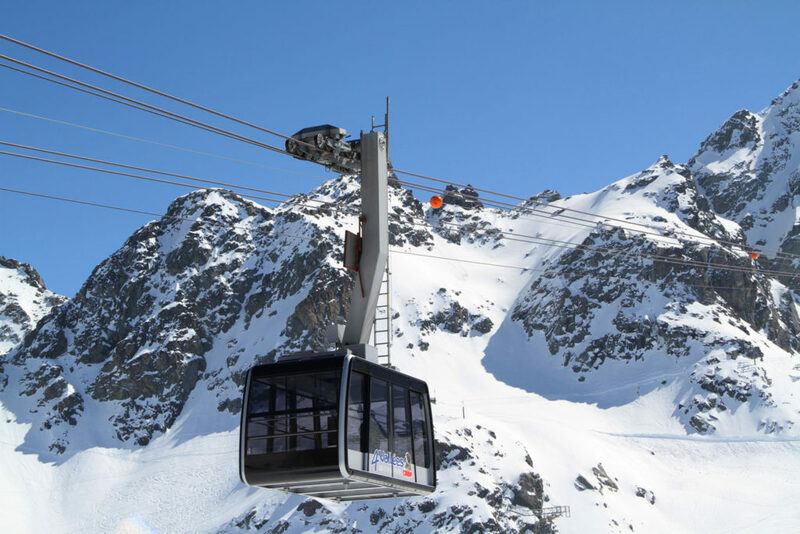 Hotel W Verbier, W Hotel’s first ski hotel and first Swiss property for the prestigious W Hotel collection is the closest you can get the gondola, in the très chic Place Blanche at the base of Verbier’s ski lifts. The Lodge Verbier is Sir Richard Branson’s luxury hotel with ski valet and concierge at your beckon call. 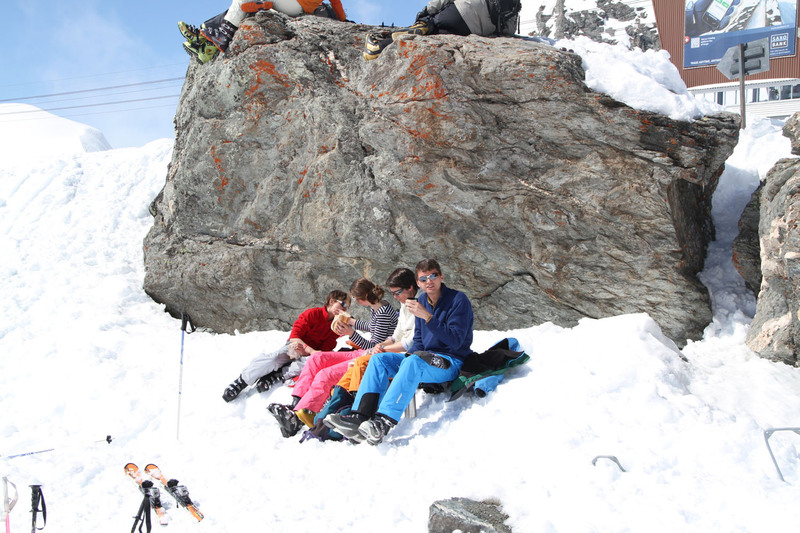 Verbier’s shopping is as extreme as the skiing. 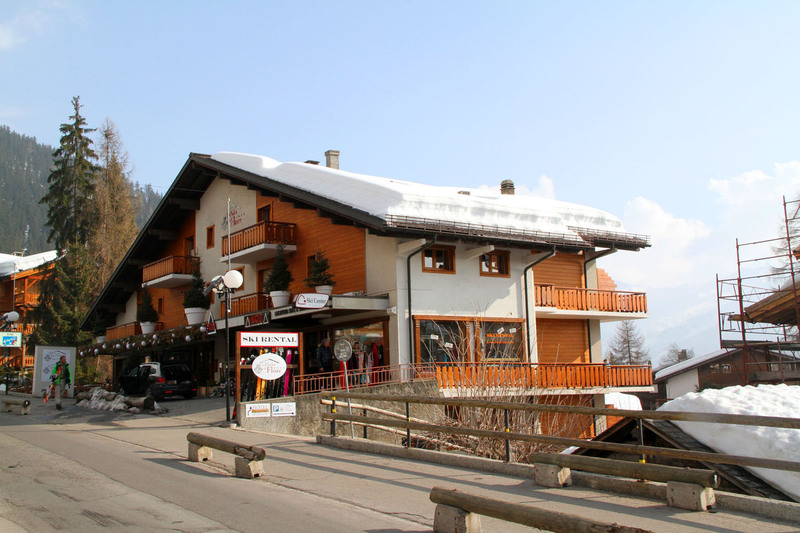 Designer boutiques in beautiful chalets in the ski village could keep a non-skier entertained, and well-heeled – rivaling Gstaad! 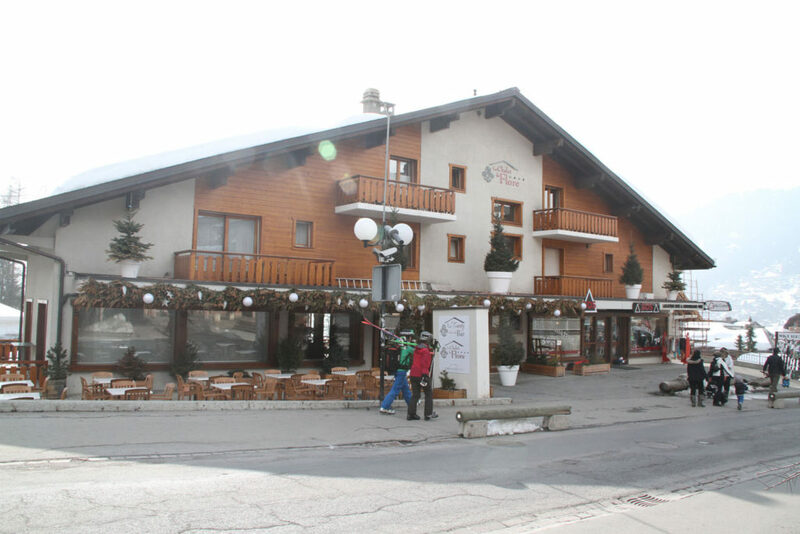 The chic French influence is obvious in the stylish attire of shoppers parading the snowy streets. 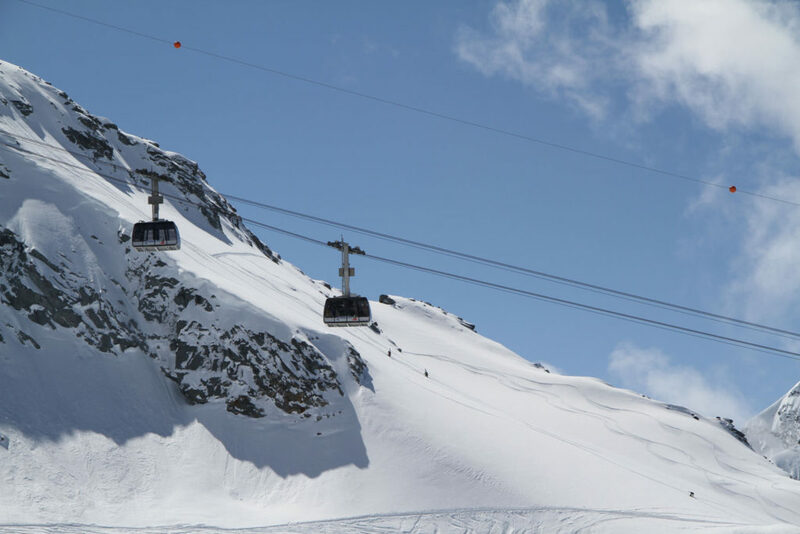 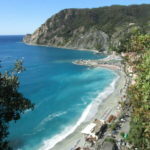 Ski shops, jewelry and art boutiques, interesting French wine and food shops, and delightful local cafes bring charm to the hilly streets on this mountain town. 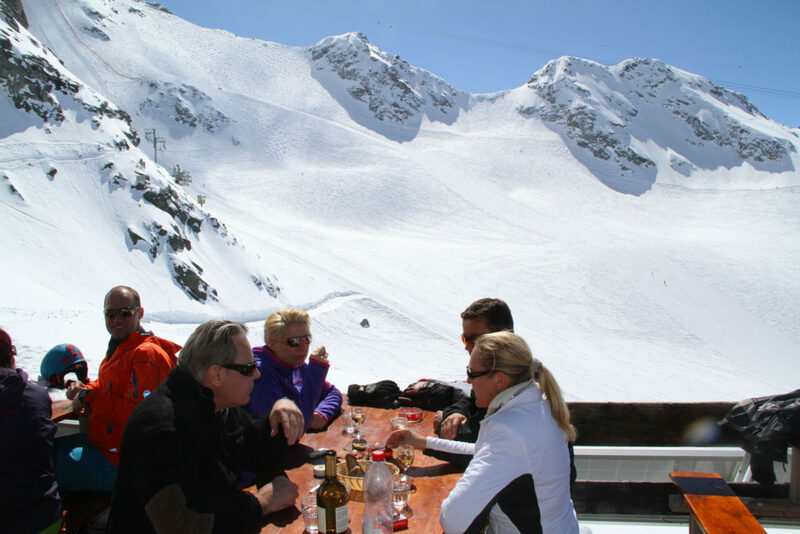 Après ski at Verbier is off the hook! As skiers pour off the slopes into the bars, wild après ski bars ensure with shots skis and hot toddies. 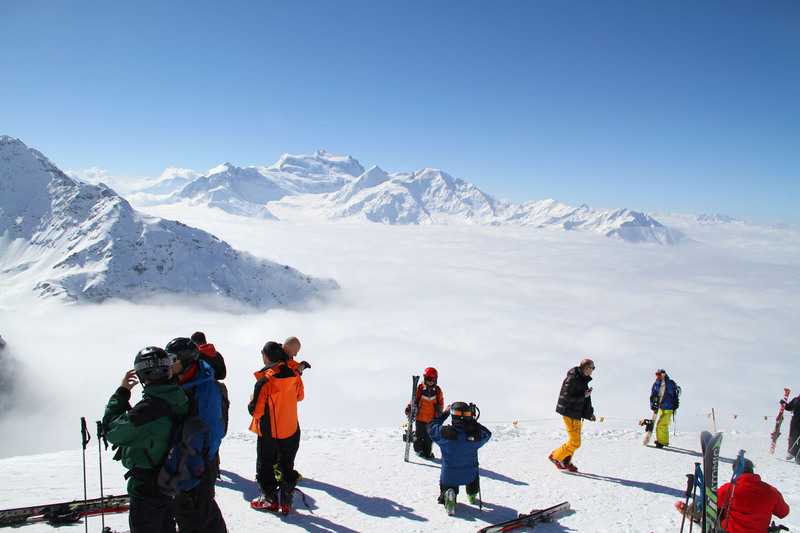 We witnessed crazy costumes, big dancing and drinking at The Farinet end of season party. The Fer à Cheval, Le Rouge and the Casbah are also notorious night clubs that rock in Verbier after the lifts stop until late night. 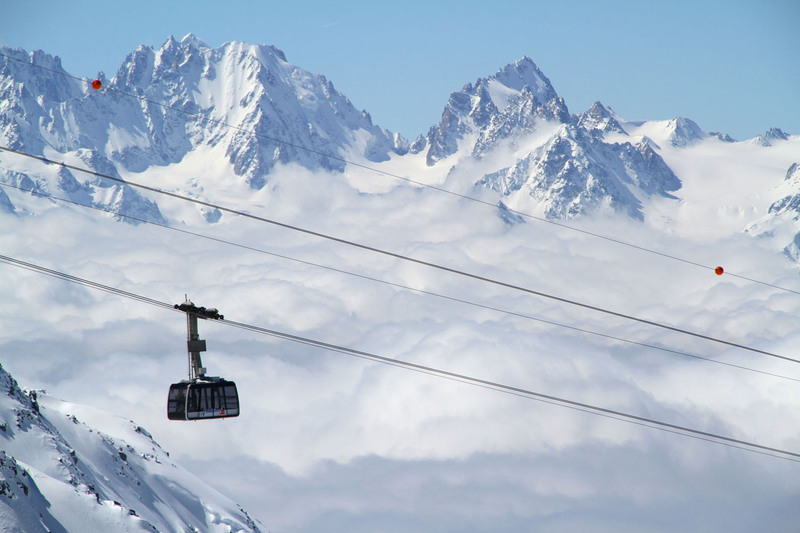 For a more sublime culinary evening, Verbier has too many Michelin restaurants to count… top shelf dining in this ski town, bring your Swiss francs. 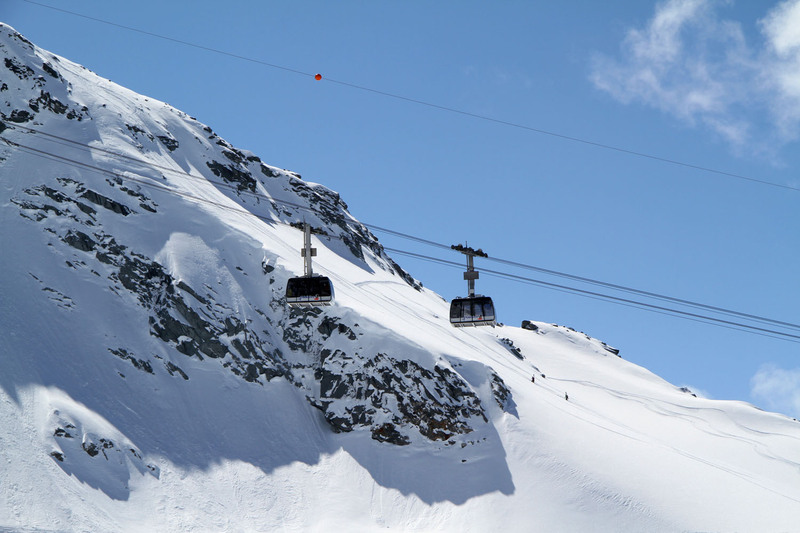 Verbier is French speaking, but a predominance of English skiers and chalet owners make it easy to communicate, in fact the area is quadri-linqual: French, German, English and Italian are all spoken. 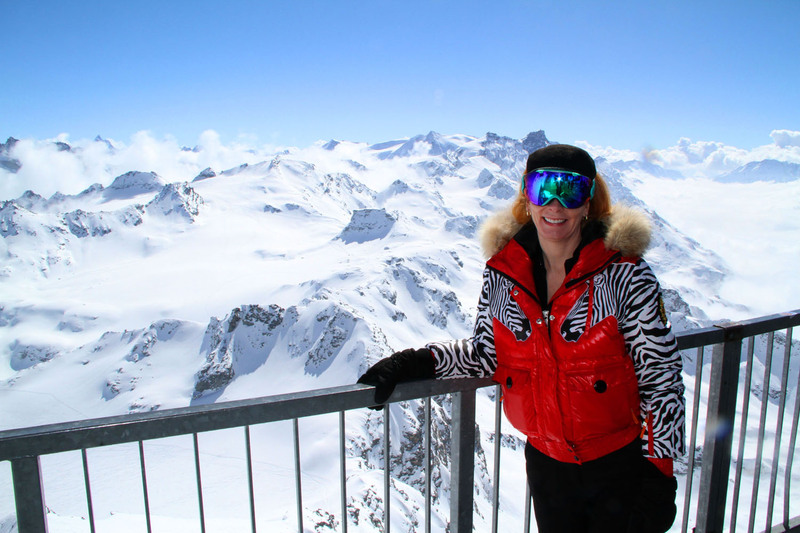 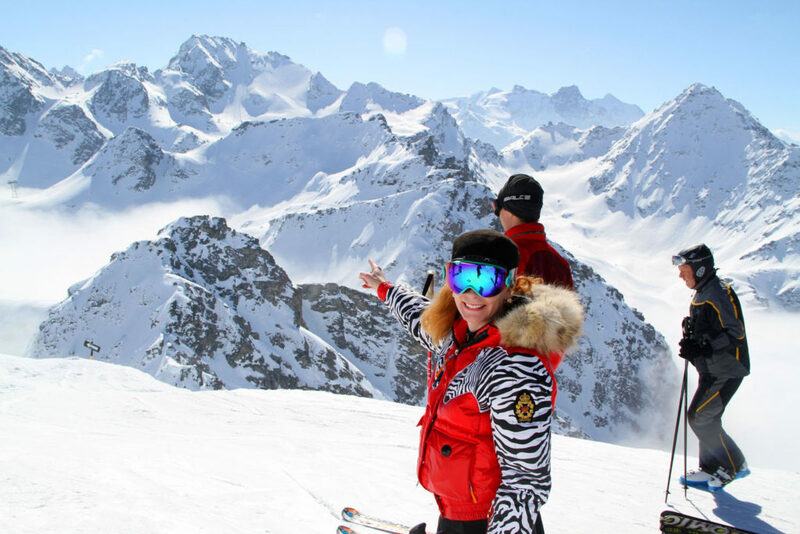 Put Verbier and Les 4 Vallées on your must ski list! Travel Tip: Verbier can be reached by Swiss train to Martigney, then LeChable, from Geneva or Zurich Airport, followed by a gondola to the resort.